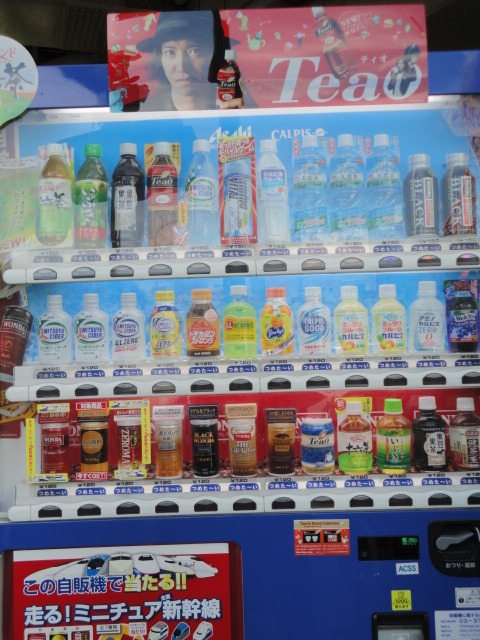 The vending machines in Japan were amazing. They were almost everywhere, unlike the U.S. They are smaller in size, but carry a wider variety of items. There were mainly drink vending machines where we went, but the other types of vending machines provided cigarrettes, food such as noodles, and some even provided ice cream. That’s right, I said cigarrettes. And there were also beer in some of them. This shows how lax the smoking and drinking age limits are in Japan. While in the U.S. its common to see a vending machine with snack foods in it, however, when I was there I didn’t see any vending machines there with food save for the previously mentioned ones. I heard you could get all kinds of things out of vending machines and that they were everywhere in Japan, yet that wasn’t the case. Either way, the machines filled with drinks managed to get a great deal of my money while there since we were always on the go. They came with both cold AND hot drinks. I had a coffee drink that was still hot when I opened it. I also had a drink that was more like liquid mixed with jelly. It was delicious, but the texture made me not want to drink it. 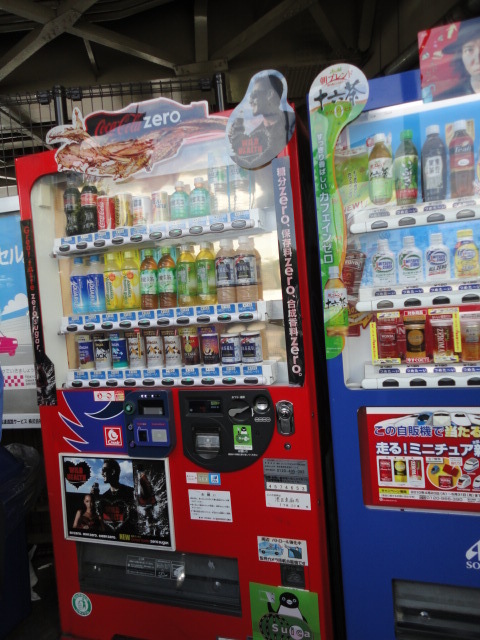 Either way, I hope to see these wierd vending machines I’ve heard about when I go back to Japan.